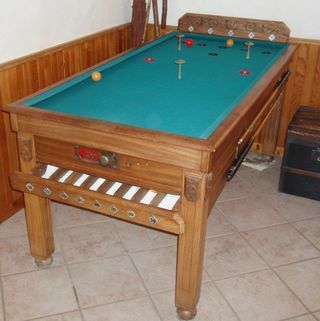 For more details about old billiard tables, don't hesitate to consult the web-link 'aux billards anciens'. 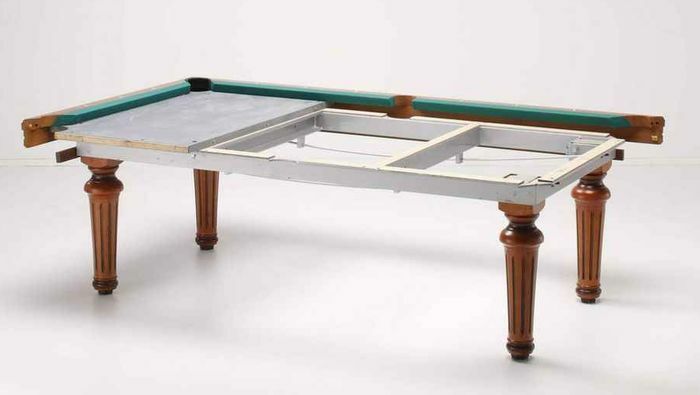 Here are exemple of billiard' tables which will disassembled. We can notice the 3 slate plates and the termic' rheostat under them. 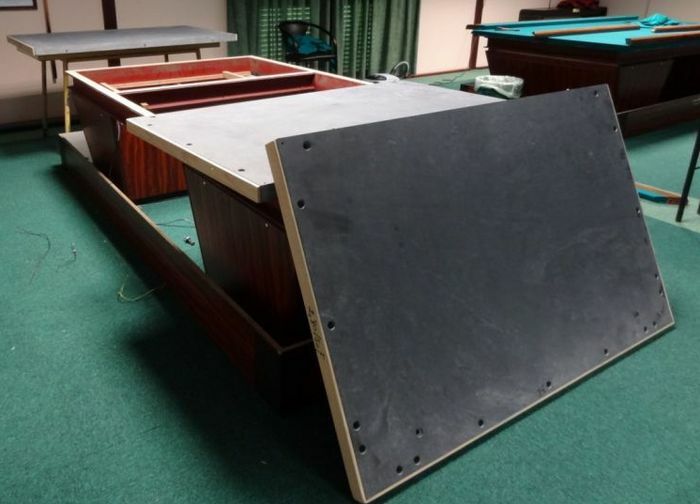 This Russian billiard table has a dimension of 88 cm X 177 cm and proposes a playing surface of 72 cm * 164 cm. The surface has 8 holes (6 black holes and 2 red holes). 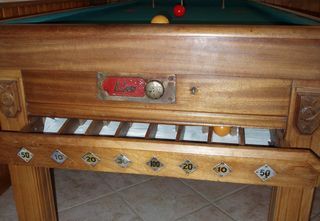 When a ball falls into a hole, it is guided in a part of a rack located under the table. The ball of the player on the starting fly. The red ball on the 2nd fly behind the white ball. To begin the game, just start the minutor. PLAY The player takes a white ball in the rack to play. 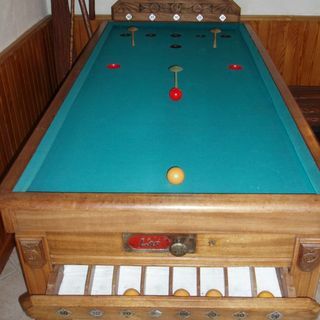 If the rack is empty, it takes the white ball nearest to him on the table. It plays on a ball to send the balls in the holes without reversing a skittle. 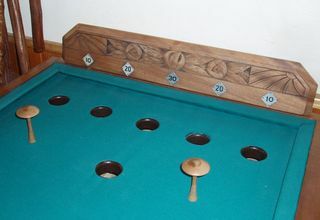 In this case, the player must take it in the rack, put it on the starting point and play it like the ball of the player. No ball is touched on the table.